Meal prep can be so exhausting. What if you could make a dish on Sunday that you could eat for several lunches during the week without getting bored? Would that not be awesome? What if, on top of the convenience and great flavors, that dish was simple to make, good for you, and fun? 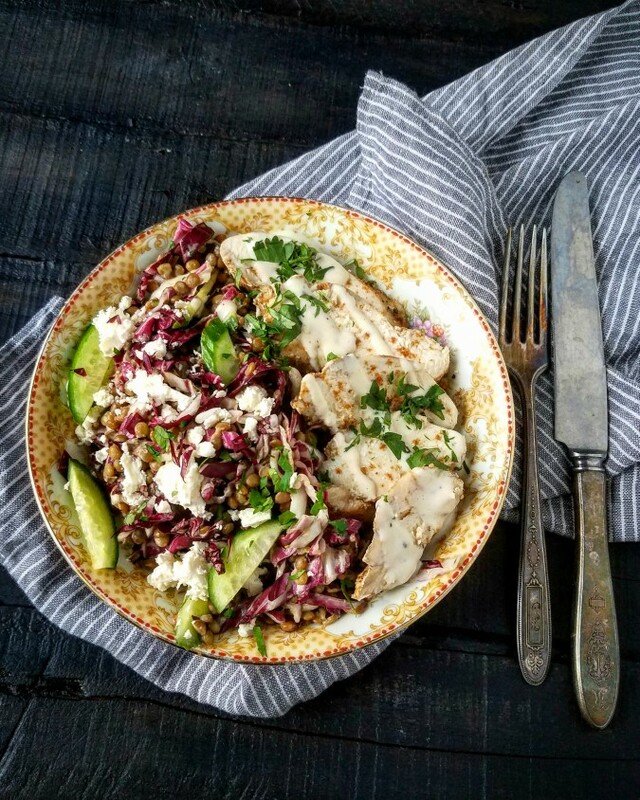 That's exactly what Coriander-Rubbed Chicken Breasts With Lentil Radicchio Salad From Healthyish Cookbook is! I received a copy of Lindsay Maitland Hunt's Healthyish cookbook from oxo for a campaign I'm doing with them (more about it next week), and after paging through the book and admiring the beautiful photos, decided to make this recipe. 1) Tahini dressing: it has mayonnaise in it! If you've met me, you know how much I love mayonnaise. Also, instead of the usual lemon juice, Lindsay uses lime juice. This dressing is garlic free: this means I'll feel comfortable eating this dish at work without the fear of alienating my coworkers. 2) Lentils form the base of the salad with an addition of the slightly bitter radicchio. Cucumbers add the additional crunch and color. 3) Surprise factor comes from the use of preserved lemons! I've never thought about adding them to a salad, but really liked the idea. 4) Chicken breasts: Lindsay bakes the chicken in the oven in a covered baking dish with a bit of water after marinating the breasts in coriander powder, salt, pepper, and olive oil. The result is really tender meat! 5) Meal prep: if you are planning on making this recipe for the week, I recommend adding the dressing to each portion when you are about to eat the salad. Same goes for feta. 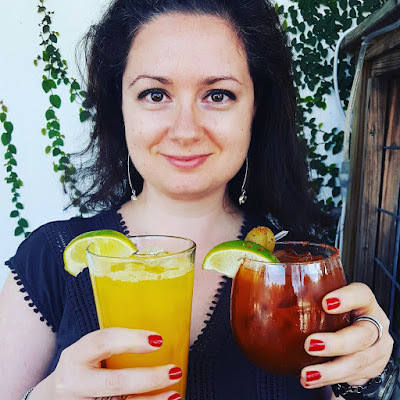 Disclosure: I received Healthyish from oxo for a nonpaid campaign and am getting no compensation for this post. All opinions are my own. It's been slightly over one week since I've flown back from a 7 day vacation in Mexico City with my twin and our 3 friends. I was blown away by the mere size of the city, how inexpensive everything was, the colorful houses and street art, kind people, and countless beautiful parks with cacti sprinkled around the city. 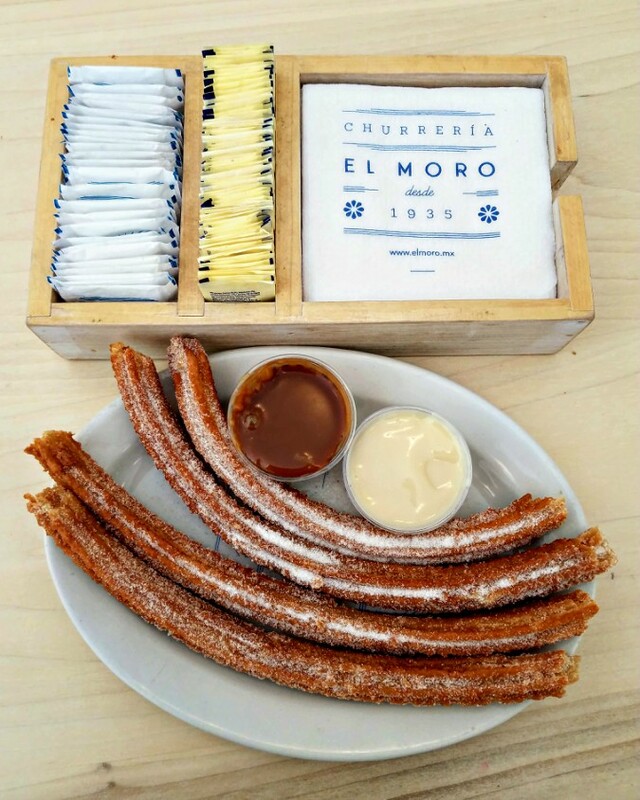 El Moro: the crispiest, non greasy, and satisfying churros! No wonder this establishment has been in business since 1935! There are several locations around the city, but I highly recommend the original one. 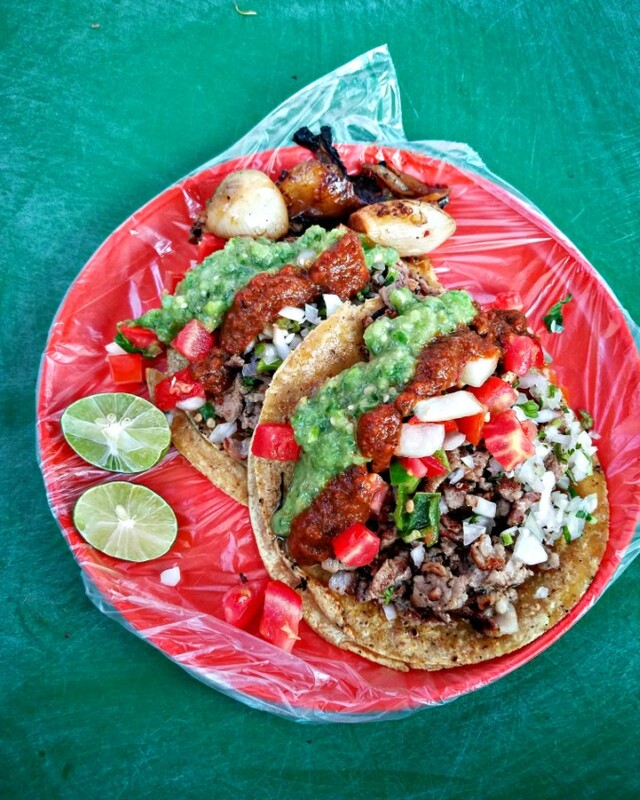 Street Tacos: don't be afraid of street food! There was a taco stand next to our airbnb which we visited at least 4 times! Two tacos for 30 to 40 pesos, which is less than $2! This particular cart had a bar set up with several types of salsa, grilled potatoes and onions, and even cactus leaves! The first night I topped my tacos with the spicy salsa, without realizing it, and had tears coming out of my eyes to an amusement of an old Mexican man! Rosetta Panaderia: this might have been one of the best croissants I've ever had. 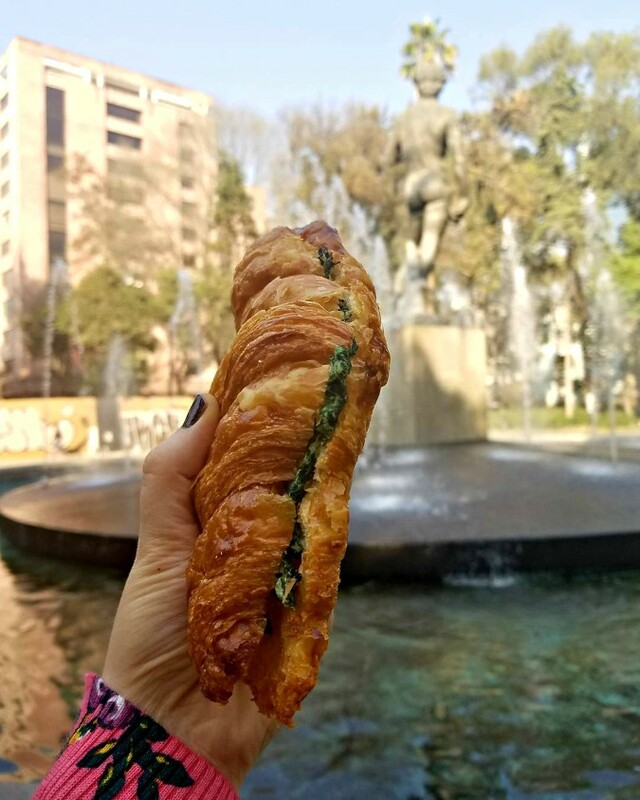 I usually go for croissants filled with chocolate or almond paste, but this one had ricotta and spinach and was worth the wait. We missed out on having dinner at Rosetta, but loved having our morning mocha or coffee and pastry at this sister restaurant. Eno: the wait at Lalo was too long for our last late breakfast in the city, so we strolled a few blocks and decided to eat at Eno. That was a great decision! 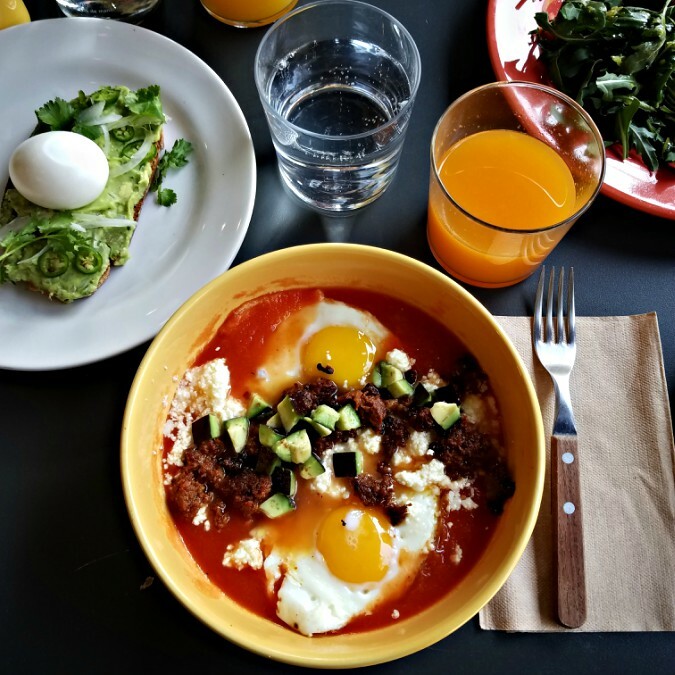 I had eggs in spicy tomato sauce with chorizo and avocado, and freshly squeezed tangerine juice. I could have this every single day of my life! La Casa de Tono: this was one of the places my friend Joahna recommended. The line was out of the door at 9pm and we were slightly, to say the least, overwhelmed once we got inside. This place reminded me of the busy dim sum restaurants in New York City: tables filled with locals and tourists, food flying out from the kitchen, the noise of conversations, and a ridiculously low bill. We ate and drank for $35! For five people! Guacamole itself was worth the visit. 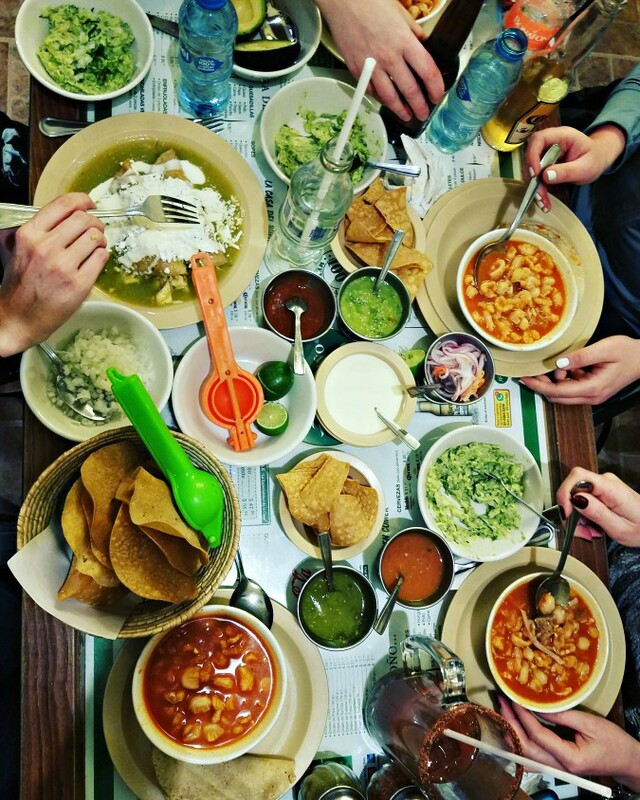 This restaurant is known for posole, which I usually don't love, but liked their version because of the flavorful broth, tender chicken, and hominy which was more tender than the versions I've had in the states. At one point my friend Kate and I had to hold a few plates in our hands because there was no place on the table! Note: we did eat at the famous Pujol. I liked dressing up and feeling a bit fancy and lunching in a beautiful restaurant. The service was top notch. The food was creative and well prepared, but it did not wow me. 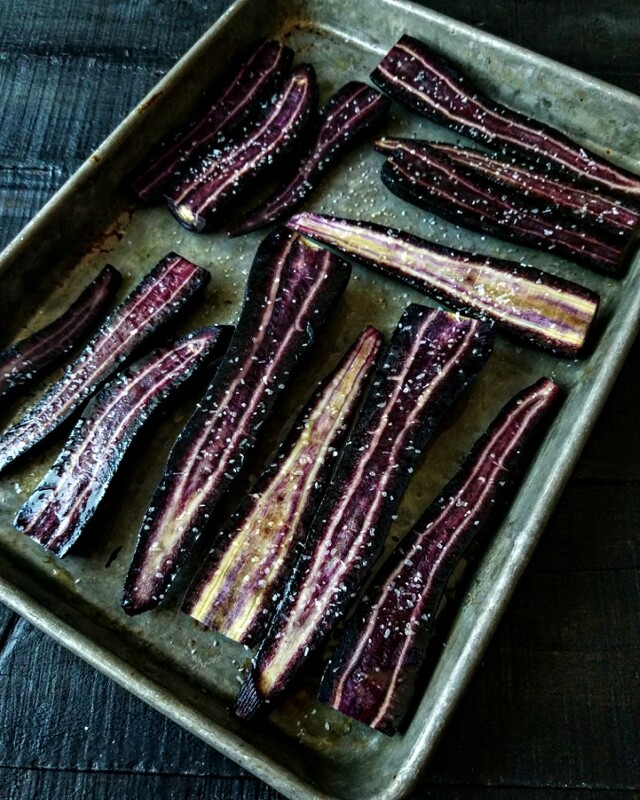 Have you ever heard of Black Nebulla Carrots? If like me you order produce from Washington's Green Grocer, you probably received these beauties in the last few orders. 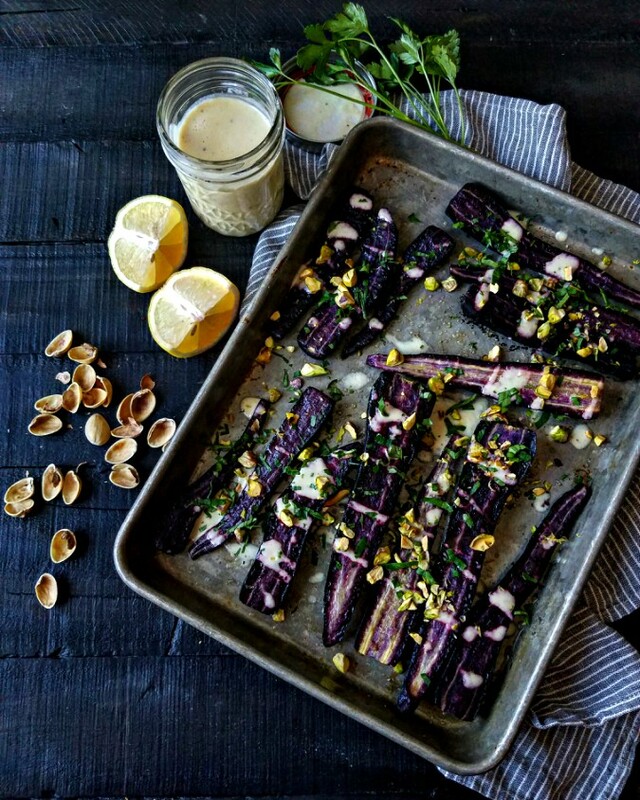 Well, now you can make a stunning vegan dish with them: Black Nebulla Carrots With Lemony Tahini Dressing & Pistachios. Washington's Green Grocer started a Cookbook Club, which I joined immediately, and the first recipe is a lemony tahini dressing from Alison Roman's Dining In cookbook. Lisa (owner of WGG) posted a recipe idea on instagram of roasting the carrots and drizzling them with the dressing. I went a few steps further by adding chopped pistachios, parsley, and lemon zest. 1. Preheat the oven to 400F. Lightly coat the carrots with olive oil and season with kosher salt. Roast in a single layer cut side up for 20-30 minutes depending on the size. 3. Drizzle the carrots with the dressing and sprinkle with pistachios, parsley, and lemon zest. Beware that these carrots will stain your hands!!! I really liked this recipe. It can be served straight out of the oven or at room temperature. I bet it'll taste equally great with sweet potatoes, mushrooms, zucchini, or any other vegetable you want to roast. The dressing, of course, is perfect on any salad! Need a filling delicious meal to satisfy your taste buds and warm you up on a freezing cold winter weekend? 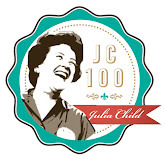 Make Julia Child's Beef Bourguignon (beef stew) for Sunday Supper. This is only the first weekend of 2018, and I'm already fulfilling one of my resolutions to make new recipes more often! As I've mentioned in my earlier post, I've never made Julia Child's Beef Bourguignon...until now that is! I used this recipe from tbsp, but made a few adjustments. 1. After making the recipe, I think there really is no need for bacon. 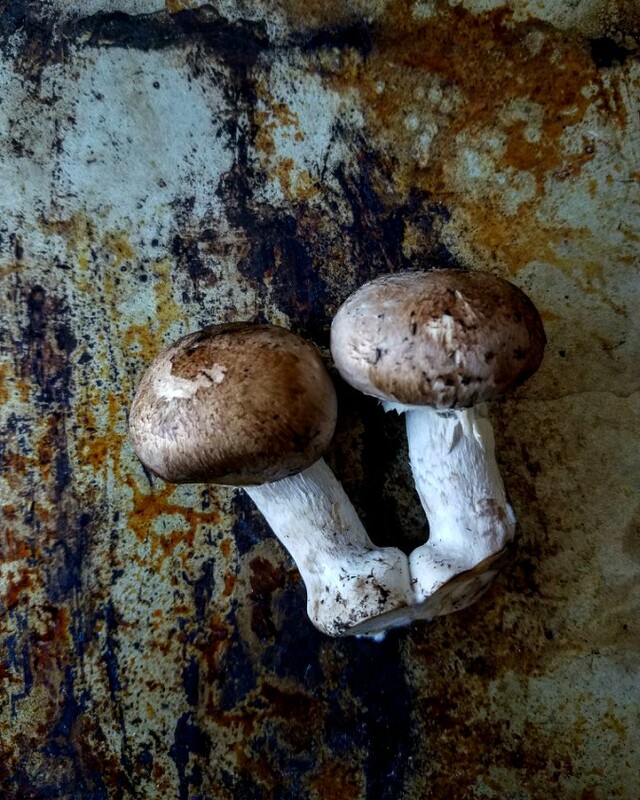 There is plenty of flavor from the wine, onions, and mushrooms. Also, the recipe called to simmer bacon in 4 cups of water...what? I simply browned mine. 2. 1 carrot for a big pot of stew is ridiculous ;) I used 3. 3. There are a few steps where you cook the stew in 450F oven for four minutes at a time to cook out the flour. No thanks. I skipped those steps and kept the pot on the stove and then put it in the oven for 3 hours at 325 to tenderize the beef. 4. Did you know good stew beef is expensive? That was news to me. 5. I used brown mushrooms instead of white ones because that's what I had. 6. 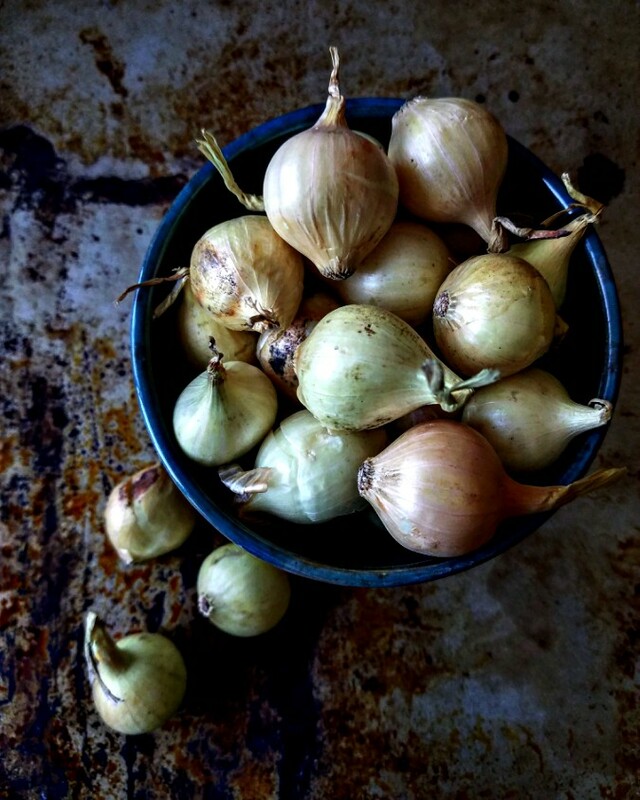 For the pearl onions, I simply sauteed them for 10 minutes without then simmering them in liquid for 40 minutes. Who has the time? Plus, they are small and 10 minutes was long enough for them to be fork tender. 7. Overall, I loved this stew! It wasn't too complicated to make and I'll probably do it again. Plus, it'll keep well in the freezer. Welcome to 2018! Hope you are entering the new year in good health and with a good attitude! Are you making any resolutions? 1) Cook more new recipes: after making chocolate salami for the first time in December, I felt such satisfaction and pride. There are so many recipes out there I'd like to try. 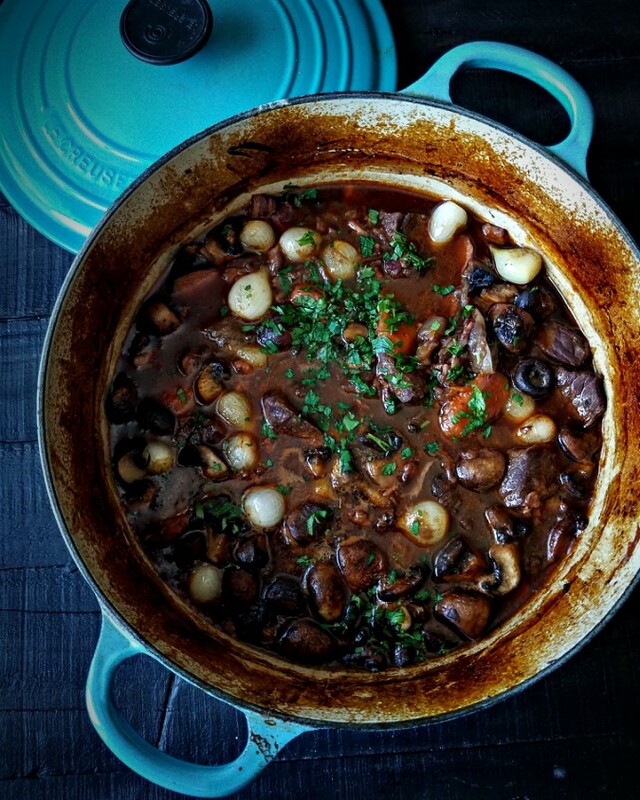 Can you believe I've never made Boeuf Bourguignon? 2) Minimize food waste: this doesn't require an explanation, but will take a lot of work! 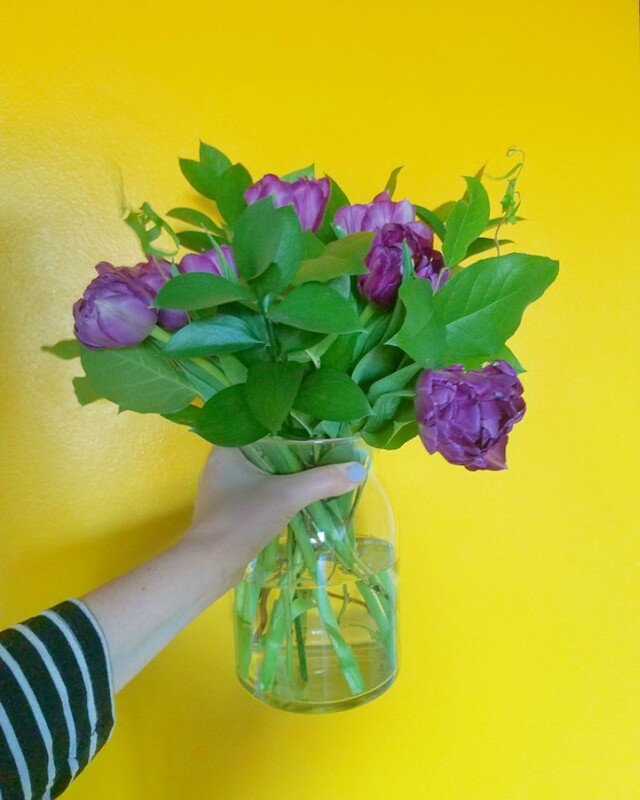 3) Stop buying bowls and other kitchen items: one of my friends decided to take a vacation from consumerism in 2018 and I'm following her lead. What's the photo above you might be thinking? Well, it's the new recipe I made yesterday from Domenica Marchetti for Sausage and Lentils Umbrian Style. 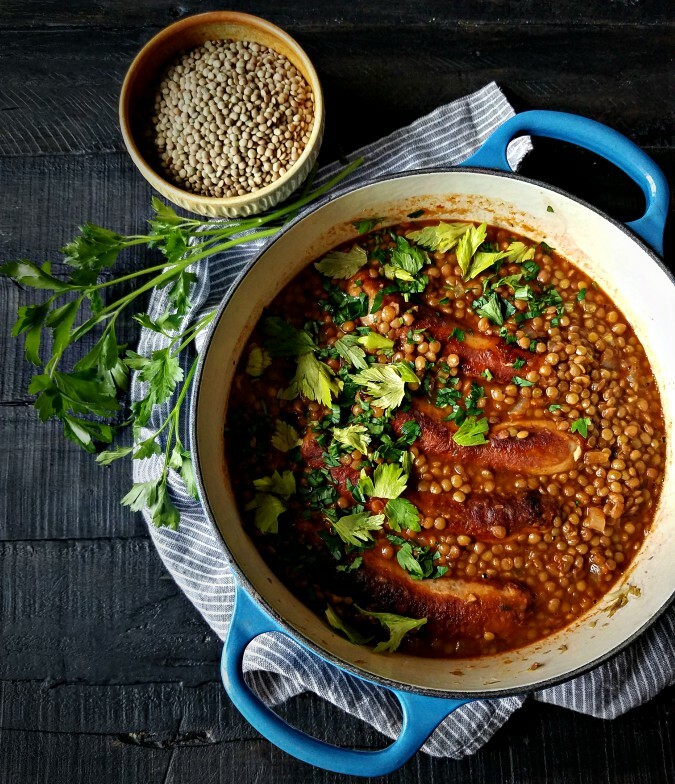 Turns out lentils are a lucky food to eat for the new year, and who can't use a bit of luck? I used green lentils and chicken sausage with basil and sundried tomatoes, but otherwise followed Domenica's recipe closely. Don't skip the step of browning the sausages, I kept mine whole, because it adds a lot of flavor to the final dish. I garnished mine with chopped parsley and celery leaves. One new recipe down, many more to go! 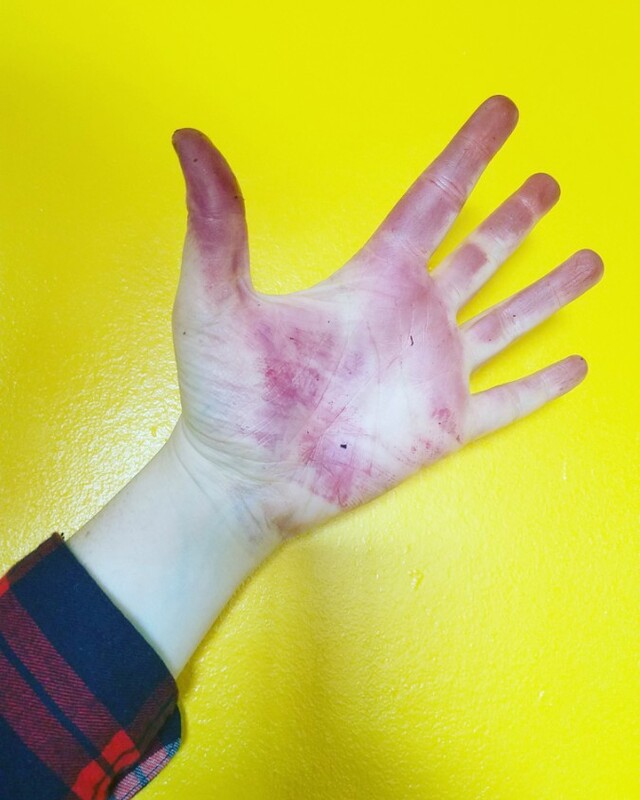 Share your cooking resolutions with me!